Direct mail, often known as bulk mail, allows you to send a piece of physical mail to a person so that it lands in their mailbox. It makes it easier to cut through the noise of online marketing. Some individuals and businesses receive over 100 emails in a day, making it difficult for your message to be seen. Plus, the cost can be considerably lower than digital marketing campaigns. Your target audience consists of those who are most likely to purchase from you. It's important for you to send to those who are within your target audience so you are more likely to make a sale. Otherwise, you could waste a significant amount of money by sending to the wrong people. Consider such things as the age, gender, zip code, and marital status of those you want to target. If you already have a list of leads, most of your work is done. However, if you're planning on buying a mailing list, you will want to home in on your audience to generate the best possible list to work with. There are all sorts of messages that you can send to people using direct mail. You may want to advertise a special or provide people with a coupon. If you're pushing e-commerce, ensure that people have your website and even a promo code to use during checkout. If you are sending to existing customers, highlight new products or even send them your latest catalog. Ensure that anything you send is branded to your business, thinking about logo placement, colors, and even the language that you use. It will ensure that consumers are able to connect with you and recognize your brand when they see it elsewhere. You can send any message you want using direct mail, though certain formats may be better for one message versus another one. How are you going to send the mail? 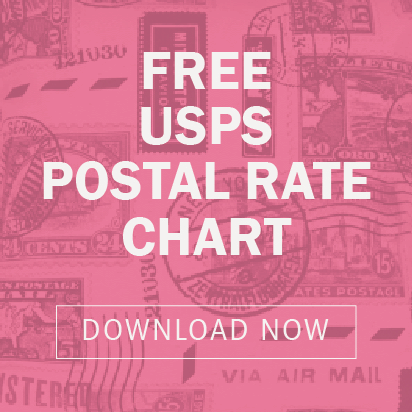 How you send the mail will determine how fast it arrives as well as what it will cost. Your primary options include First-Class, marketing mail, and nonprofit. Marketing mail must weigh less than 16 ounces. In order to use this form of mailing, you must also have 200 pieces or 50 pounds of mail as a minimum. If you are a nonprofit organization, you may qualify for other reduced rates. Otherwise, you will need to send your mail via First-Class. Once you know how much you're sending (and in what format), you can decide on the best method. You will want to consider the format in which you send direct mail. Postcards, brochures, flyers, coupons, catalogs, letters, and more can be sent in the mail. You will want to consider the cost to print the item as well as the cost to ship it to your list. Much of this depends on whether they are existing customers that you're looking to re-engage or if you are blindly mailing to a purchased list in order to generate new leads. Your budget will be a great guide to help you choose the format. Find out more about your commercial printing options in Minneapolis and beyond by contacting The John Roberts Company. We are a full-service company, helping you with printing, mailing, and even online marketing, complete with campaign analytics.